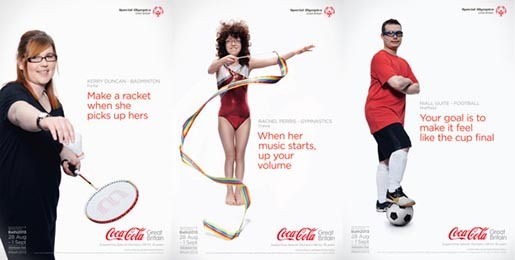 Coca‑Cola Great Britain is celebrating 35 years of partnership with Special Olympics Great Britain and the staging of the Special Olympics 2013 National Games in Bath this month with a marketing campaign that places intellectually disabled athletes centre stage. 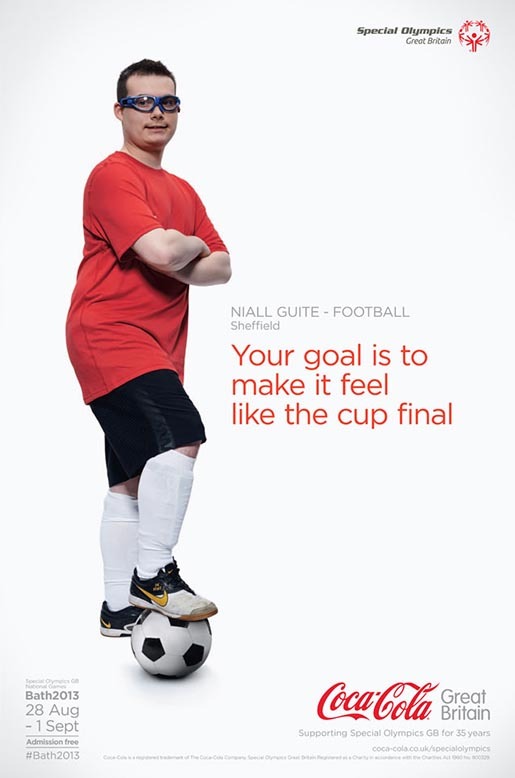 The through-the-line campaign aims to build awareness of Special Olympics GB and support for the National Games through twelve athletes representing each of the sports at the Games. 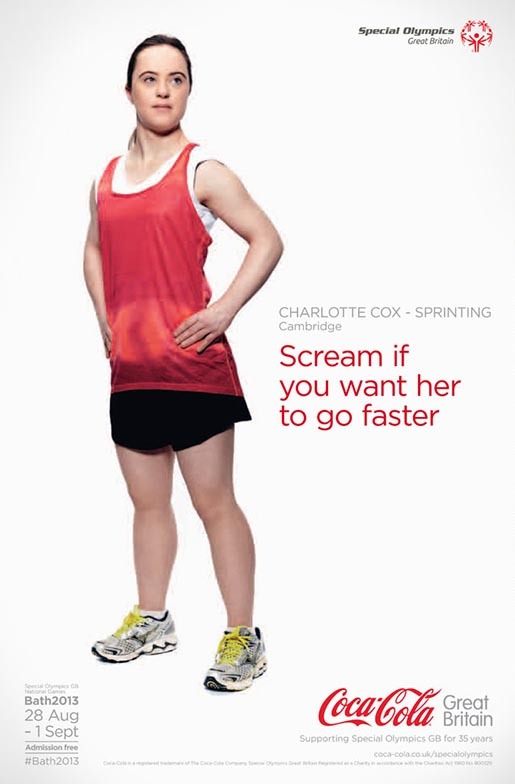 The athletes’ iconic images from a photoshoot with sports photographer Graham Hughes will appear on outdoor and print advertising across the country including regional 6-sheet posters, bus sides, London Underground cross track digital sites, Facebook, national and regional print advertising in the run-up to the Games. 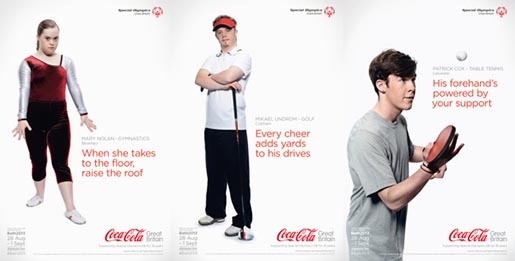 A film, shot behind the scenes at the photoshoot, entitled ‘Let Me Win’, features online and across Coke’s social media channels. 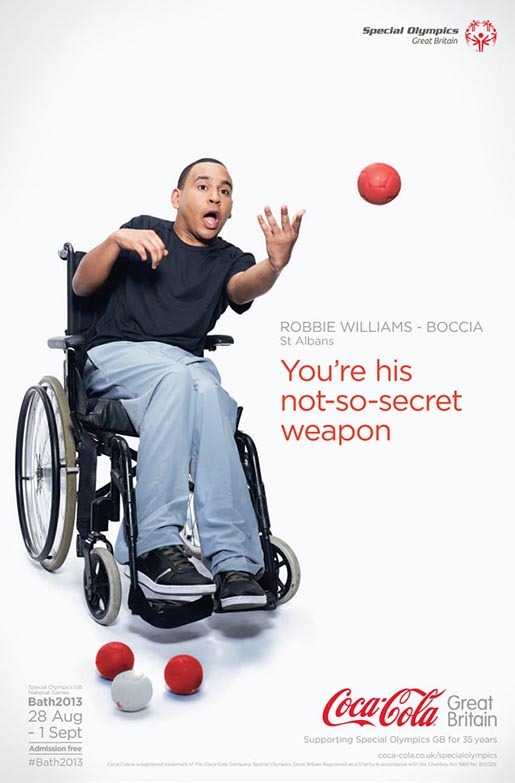 The film sees each athlete quoting lines from a poem based on the Special Olympics Oath, promising to embrace the spirit of the Games. 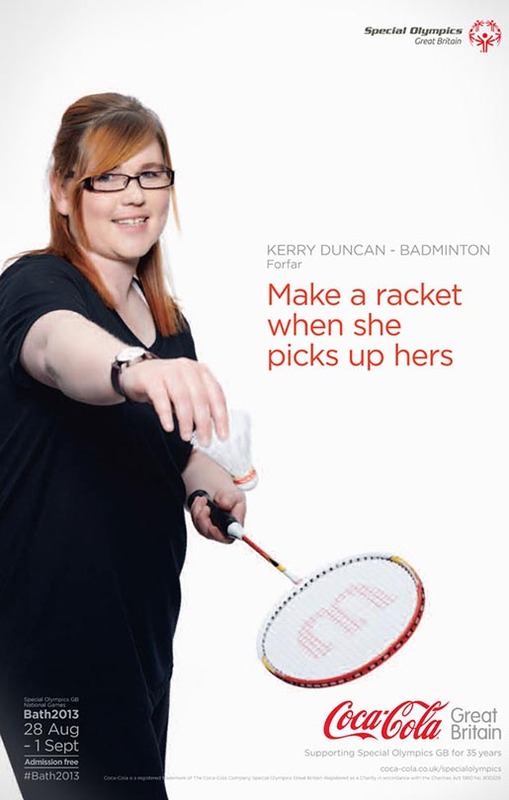 Special Olympics GB as a charity delivers year-round sports training and competition for athletes with intellectual disabilities through a series of regional volunteer-run clubs. 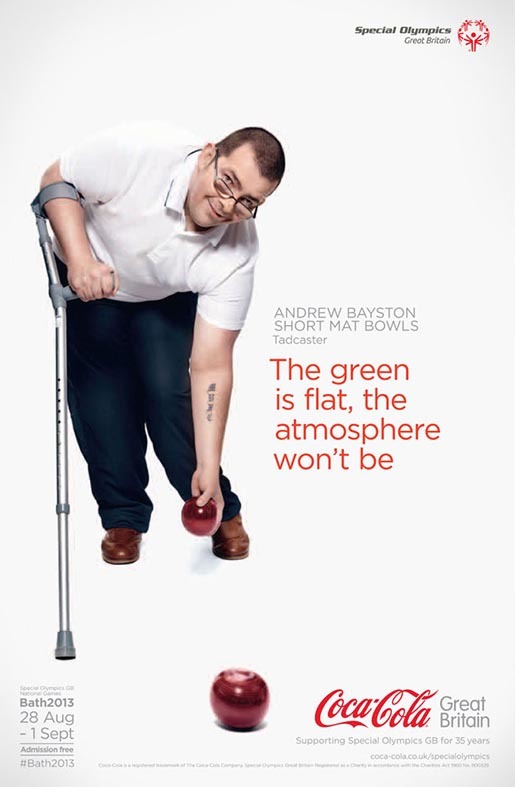 With its official Opening Ceremony on Wednesday 28th August, the Special Olympics National Games will see more than 1,700 athletes from all across Britain gather in Bath to compete in 12 sports over three days, in the largest disability sports event of the year. 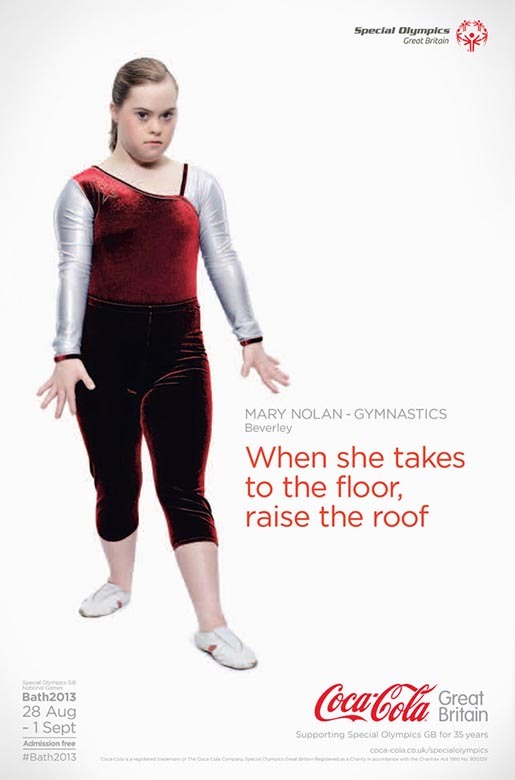 Coca‑Cola Great Britain commissioned a special creative treatment featuring the athletes for its world-famous Piccadilly Circus sign launching on August 14. 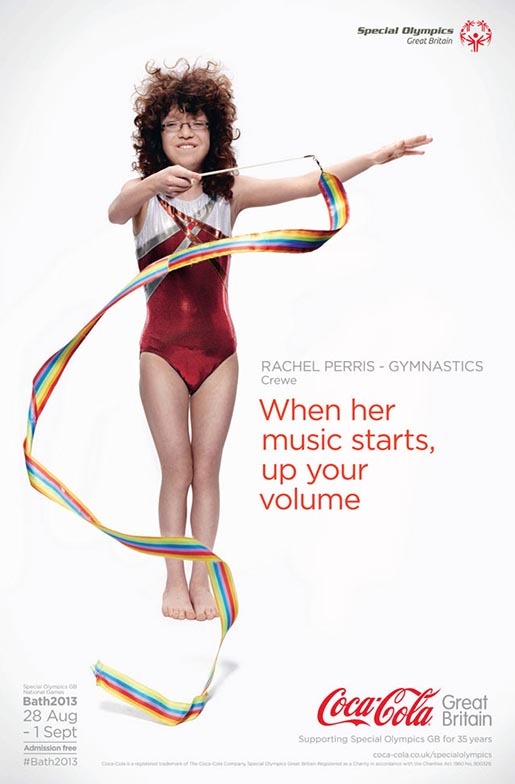 The creative counts down to the Games, using filmed footage of the athletes practising their sports, and aims to build awareness, support and anticipation for the Games on a national scale. 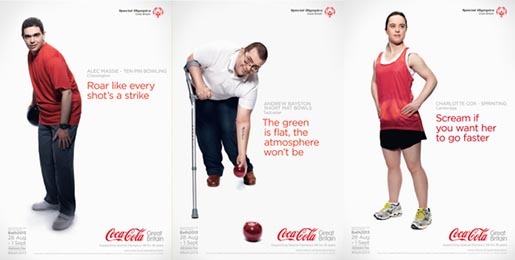 To see the Coca‑Cola GB Special Olympics GB athlete photography and mini-film go to coca-cola.co.uk/special-olympics. 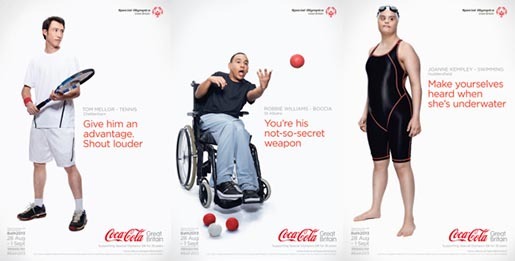 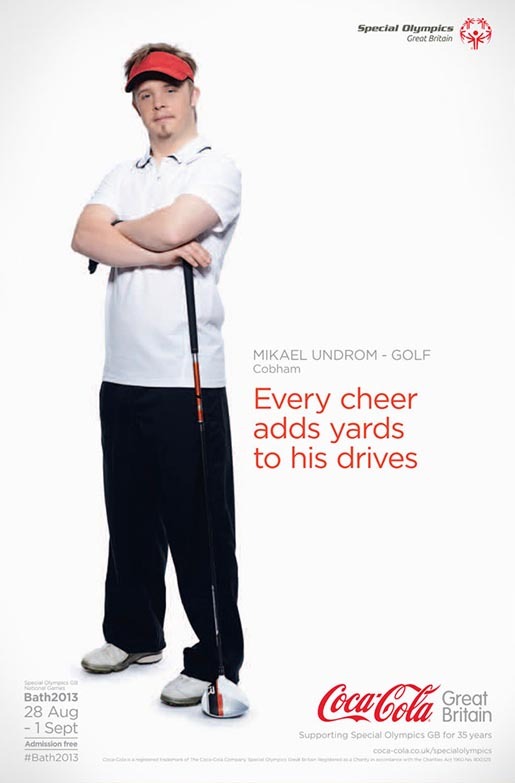 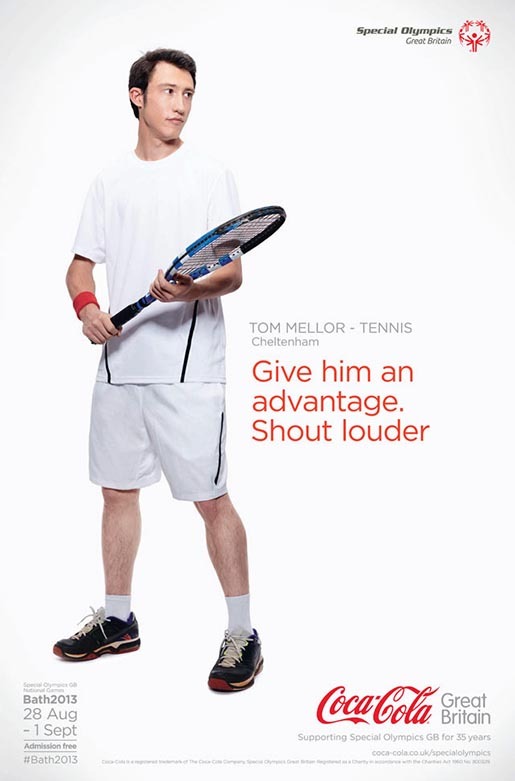 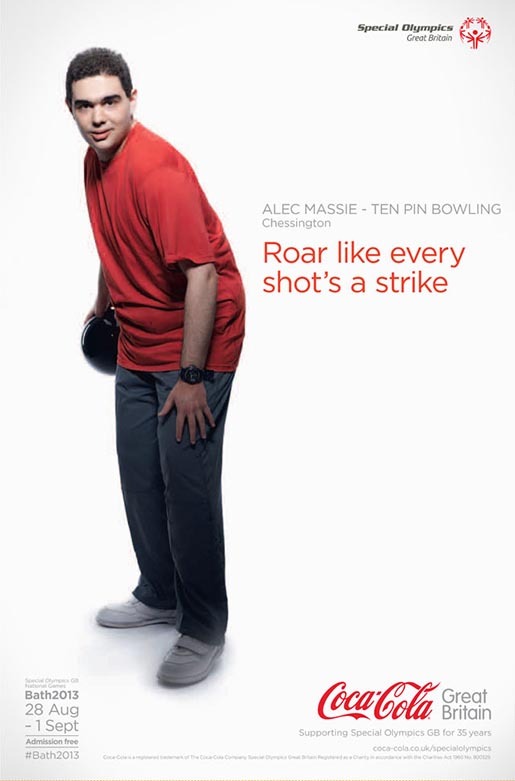 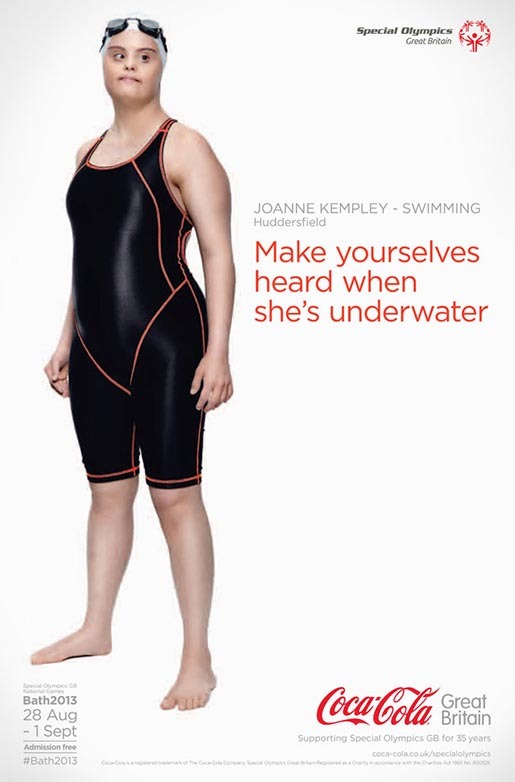 The Special Olympics campaign was developed at M&C Saatchi, London, with photography by Graham Hughes. 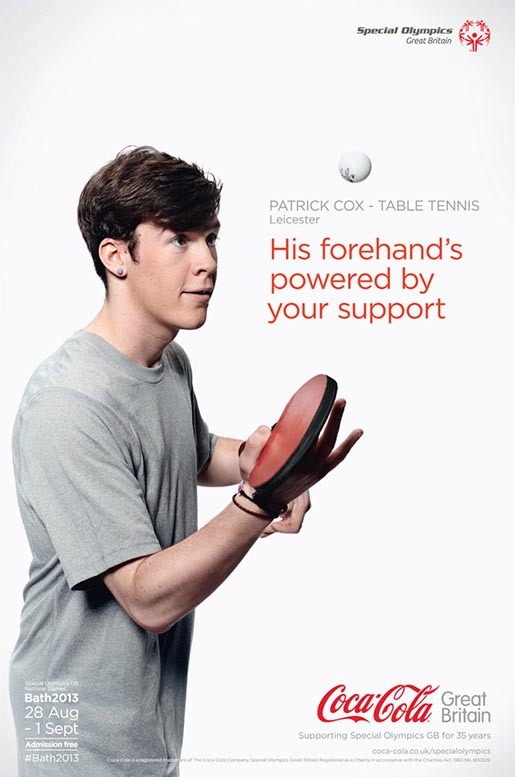 Special Olympics GB athletes featured are bowlers Alec Massie and Andrew Bayston, Cambridgeshire athlete Charlotte Cox, Almondbury swimmer Joanne Kempley, Tayside badminton player Kerry Duncan, Beverley gymnast Mary Nolan, Cobham skiier Mikael Undrom footballer Niall Guite, Leicestershire table tennis player Patrick Cox, Crewe gymnast Rachel Perris, St Alban’s boccia player Robbie Williams, and Fairview tennis player Tom Mellor.